Each Quest Forward Academy is an independent high school designed to engage students in relevant, personalized and flexible learning focused on academic concepts, learning skills and personal habits. Each Academy implements all aspects of Opportunity Education’s Quest Forward Learning framework. Each Quest Forward Academy fosters the development of the habits of mind, academic and social skills, and ways of thinking that will enable students to succeed in further education, life and work beyond high school. While the Quest Forward Academy model was designed by Opportunity Education, each Academy operates independently, and is part of a rapidly growing, global network of schools that use Quest Forward Learning to enable students to succeed in achieving their dreams. We are currently evaluating additional locations for new Quest Forward Academies both in the United States and overseas. Stay tuned for new openings. Looking for a Better Education for Your High School Student? Even if an Academy hasn’t opened yet in your area, you may still be able to benefit from Quest Forward Learning. are out-of-school programs for developing life and career skills. Such programs may be offered in a school or college context, or by non-school organizations with deep subject matter expertise, such as design thinking, empathy skills, storytelling, and more. Take a look at our Academies to see how Quest Forward fully engages students. 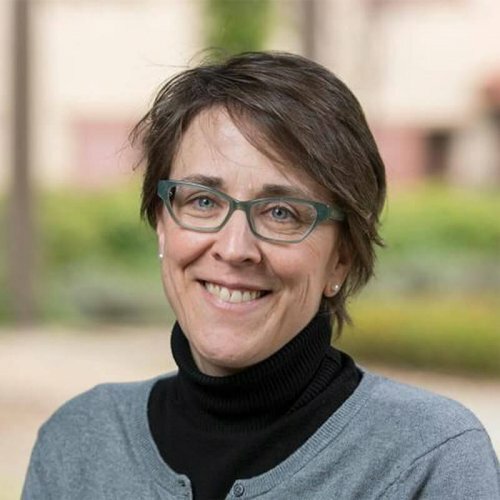 Dr. Karen Kenkel is the Director of the Quest Forward Academy in Santa Rosa, CA. Karen received her B.A. in German Studies from Stanford University and her Ph.D. in German Studies from Cornell University. Before joining the team, Karen was the Director of Instruction and a Philosophy Core Instructor at the Stanford Online High School. Quest Forward Academies develop the whole student by fostering a growth and outward mindset, essential habits, and a wide range of skills together with academic knowledge. They also provide students meaningful opportunities to engage in the world, to discover what really motivates them, and to learn how to become valuable contributors to their families, their communities, and the world. Quest Forward Academies are designed and led by veteran educators, including the founder and the former directors of curriculum and instruction from the Stanford Online High School. At the Academies, these experienced educators are now integrating the best of their insights with an in-person school experience. Quest Forward Academies personalize learning for each student without the isolation that technology-driven learning often creates. Quest Forward quests support students in following their interest, discovering knowledge and practicing skills that are relevant to them, and building the academic and social foundation they need to succeed in life and work. Personalization also shapes how students and mentors assess progress and growth, how students reflect on their own work, and how they support each other’s growth. The teachers at the Academies work as mentors, offering resources, asking open-ended questions, challenging assumptions, providing substantive constructive feedback and coaching, and unlocking the capabilities of their students. Academy mentors view themselves as Socratic guides, focused entirely on coaching students to grow, without the pressure to lecture on content, rush through curriculum, or to administer all-too-frequent tests. The Academies offer a very low 12:1 student/mentor ratio, which is further reduced by additional subject matter mentors available to students. This stands in stark contrast to the typical private school class size of 16-20, or the standard public school class size of over 30 students. Quest Forward Academies work closely with local businesses, colleges, and community organizations to give learners access to internships, apprenticeships, and learning opportunities in the wider world. Quest Forward Academies are private schools that operate independently from Opportunity Education, enabling each school to be fully responsive to the needs of its students and families.